The Climate Coalition have released their #showthelove (fortheloveof) campaign with a video. David Harewood, Meera Syal, Stephen Fry, Dermot O’Leary, Jarvis Cocker, Deborah Meaden, Emilia Fox, Alison Steadman and Raymond Blanc bring Shakespeare’s Sonnet number 18 to life in a beautiful 100-second film that’s a celebration of the world around us. They’re asking people to shares the things they love. Because the things we love might be changed forever by climate change. Let’s act on climate change. On Saturday 8 June 2013, tens of thousands of people gathered in Hyde Park for the Big IF London rally. They were there to make a massive noise in demanding that G8 leaders – meeting in Northern Ireland on 17-18 June 2013 – take action to tackle global hunger and save the lives of millions. Here are some video and photo highlights of the event. The next event took place on the 15th June in Belfast, where the G8 leaders meeting was held. Lets pray and hope that the clear message sent to the G8, from people of all ages and from all parts of society, is taken on board in word and action. “Back in 1970 rich countries promised to give 0.7% of their national incomes as aid. But until today, the UK never has”. P.S. Have you seen the Enough Food IF Thank You video? Please do share it with your friends and family. Tearfund have followed up their campaign around World Food Day (16th October), with supporting the IF Campaign. This focuses on opportunity of the UK hosting the G8 summit in June of 2013, and therefore the opportunity the UK has to influence the world’s richest nations to bringing an end to world hunger. Have a look at these videos to learn more. Today Chancellor George Osborne kept his promise to increase the aid budget. Let’s give God thanks that we’ve got here at last. Back in 1970 rich countries promised to give 0.7% of their national incomes as aid. But until today, the UK never has. So this is a great victory for the Enough Food for Everyone IF campaign, working hard this year to win the battle in hard times and against real opposition. It’s also a great victory for all of us who’ve prayed and spoken out about this for many years. Thank you for your commitment and your faith. We know we’ll need to monitor the aid to make sure it’s spent well. And we know aid’s only a first step towards the end of hunger – we want the government and G8 to keep the promise on climate finance and take action on tax, transparency, and land grabs. We’ll see over the next week what the government does in the Finance Bill to help cut tax dodging in poor countries. There’s a lot more to do. But today is a day to celebrate and tell your friends. Our voices and our prayers are powerful. We’ve helped hungry people to feed themselves, we’ve helped thirsty people get clean water to drink, we’ve helped people with HIV get care and treatment, we’ve given children an education, we’ve freed women from walking miles to fetch water. Thank you for all you’ve done to get this promise kept. 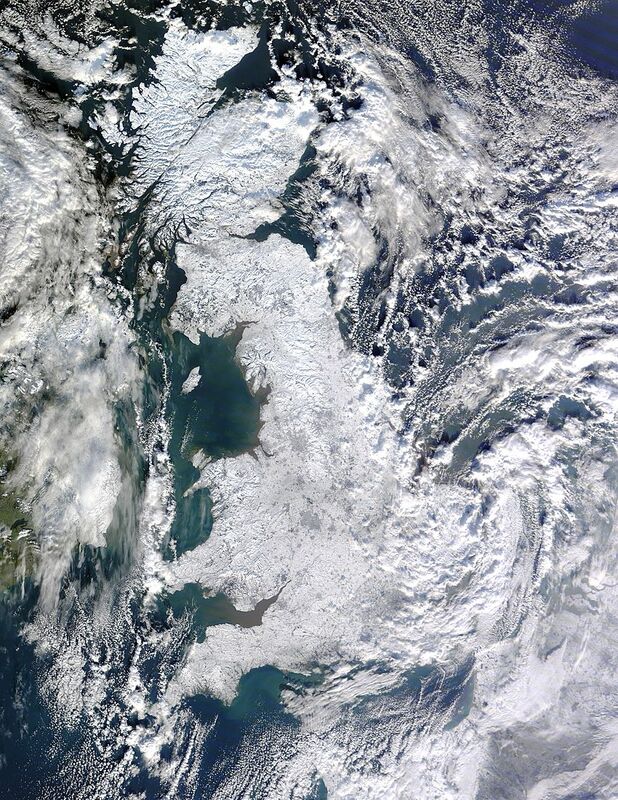 I posted this post with a photo taken by NASA showing the country under snow in the Winter of 2010. 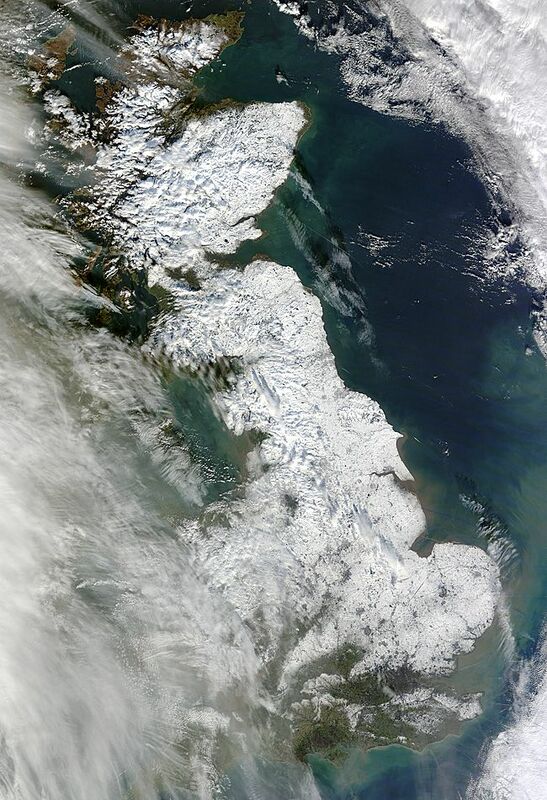 Here is another NASA satellite image of UK taken in January 2013. This snow coverage wasn’t as comprehensive as the Winter of 2010, or as cold. Interestingly location of Manchester is fairly noticeable as a ‘snow’ free spot amongst the snow in the English countryside. Also most of the coasts remained snow free. Tearfund have recently launched a campaign around World Food Day (16th October) to re-think the funding gap to support some of poorest and most vulnerable people in the world. The people most susceptible to hunger and disruption on their food supply because of the impact of climate change. In particular it draws attention to untaxed use of fuels in international shipping, even though it is not an insignificant contributor to greenhouse gas emissions. My daughter made a presentation of Rose petals in a bowl. Credit to Itoworld and flightradar24.com for this impressive visual. It really captures the key nodes and bridges of connections (apart from noted gaps e.g. France) for European travel. It serves as a notable reminder to the disruption and clear skies that occurred as a result of the volcanic ash cloud from Iceland’s Eyjafjallajokull volcano that covered Europe for several days in April 2010. I think this image captures the completeness of the freezing cold weather, that set record low temperatures etc. in the Winter of 2010. It will be remembered for a very long time! Thanks to @grahamchastney for the image reference. Enter your email address to receive new blog post updates by email.